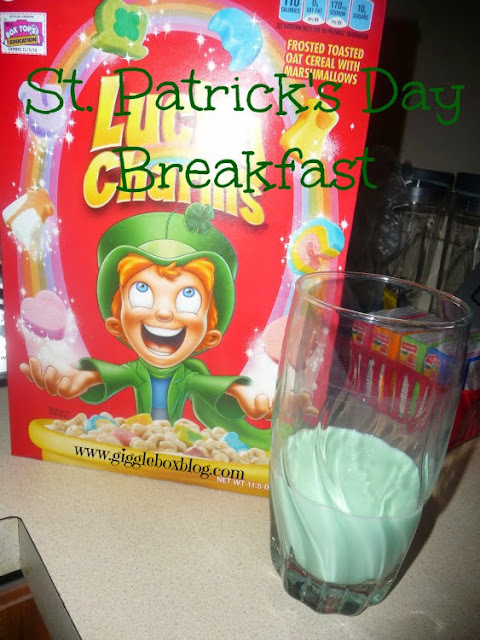 Looking for a fun way to have breakfast on Saint Patrick's Day? It's pretty simple and will be a hit for the kids. We don't normally have Lucky Charms in the house, but you have to have it for Saint Patrick's Day, right? Michael and I each enjoyed a bowl of Lucky Charms and he had a sippy cup full of green milk. Michael's bowl was dry and mine was with regular white milk. I haven't had Lucky Charms in years and it was yummy. This was Michael's first time having Lucky Charms and he seemed to enjoy it. To make green milk is very easy. 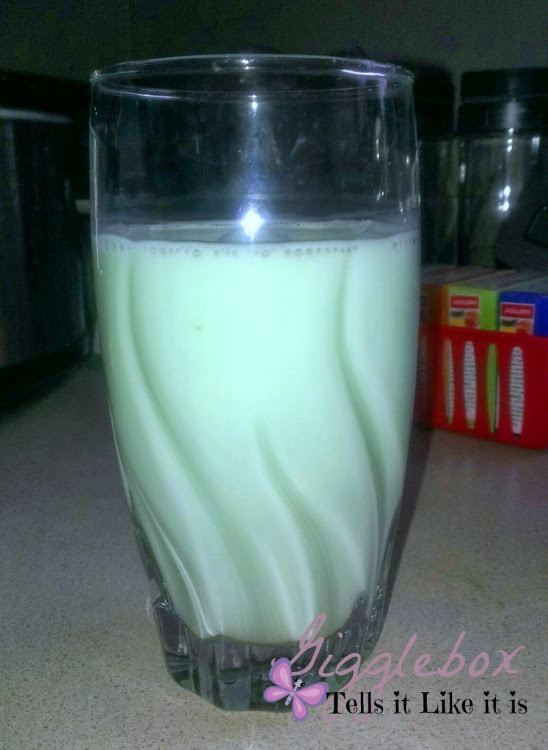 Pour white milk in a glass and then add a drop or two of green food coloring. Stir it up and then drink! What fun stuff did you and your little ones do for breakfast? I asked Michael if he wanted green pancakes, but he said no.